Among the finds from the Sifting Project are hundreds of opus sectile (Latin: “cut work”) paving tiles that can be traced to various time periods on the Temple Mount – Herodian/Roman, Byzantine, Early Islamic, Crusader, Later Islamic and Modern. Frankie Snyder, who is the opus sectile specialist for the Sifting Project, is researching various patterns used during this 2,000-year span of time in order to determine precisely which tiles are from which time period and which floor or wall patterns. Her findings will be published in the future. 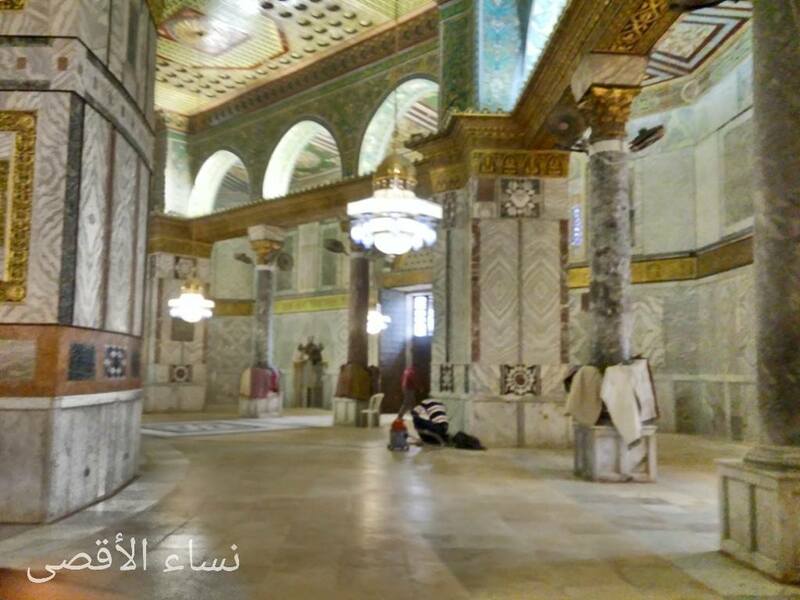 Because of her research, it was extremely disappointing last week that we, and other archaeologists, were denied access to the Dome of the Rock when opus sectile floors in that building were temporarily exposed between the time old carpeting in the building was removed and new carpeting was laid. Being able to document the patterns, materials and quality of workmanship would have been extremely useful in this research. Eventually, some archaeologists from the Israel Antiquities Authority (IAA) were allowed in, but by then, many of the floors were again hidden from view under the new carpeting. 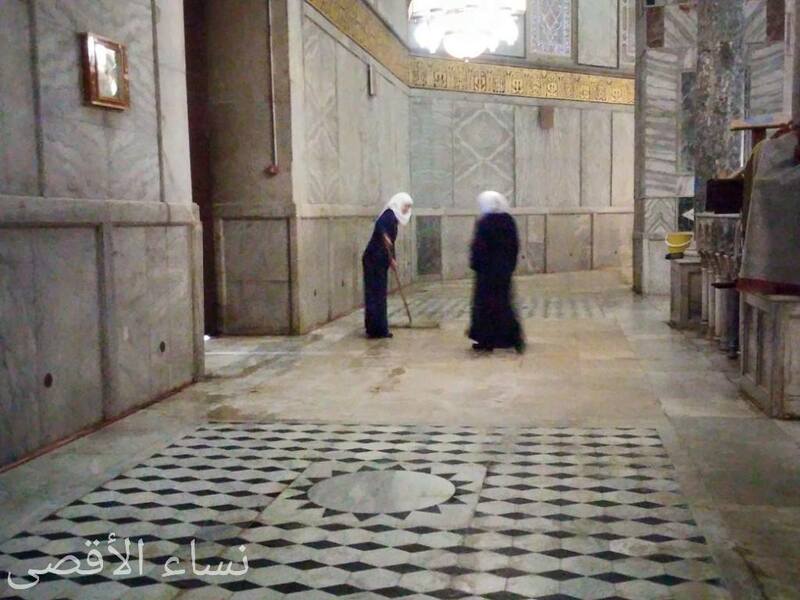 During the brief time that the opus sectile floors were uncovered the shrine was closed to Muslim worshipers and visitors, but some who were present at the work took photographs of certain floors and posted them on several Facebook pages. From these photographs, we have been able to learn some information, but ultimately they create more questions than answers. 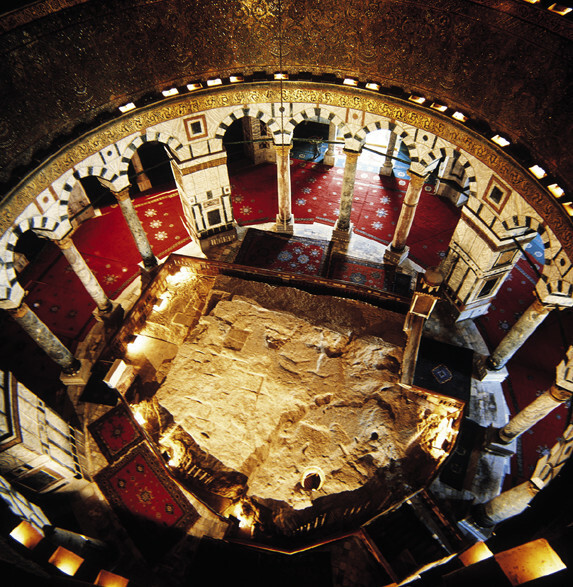 This opus sectile floor, just inside the south door on the outer ambulatory, was documented in 1924 by Ernest Richmond in his book The Dome of the Rock in Jerusalem: A Description of its Structure and Decoration, though without a date of origin. 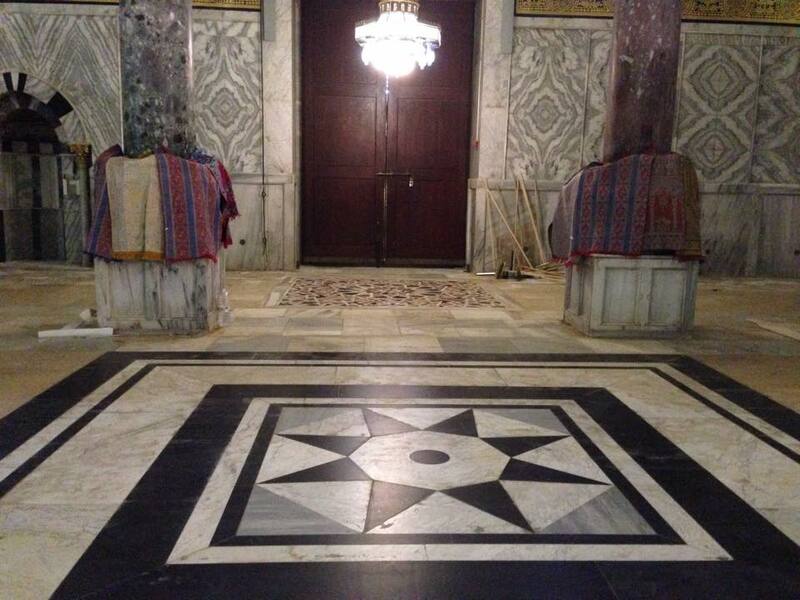 This floor on the inner ambulatory by the south door appears to be a rather recent addition to the Dome of the Rock. 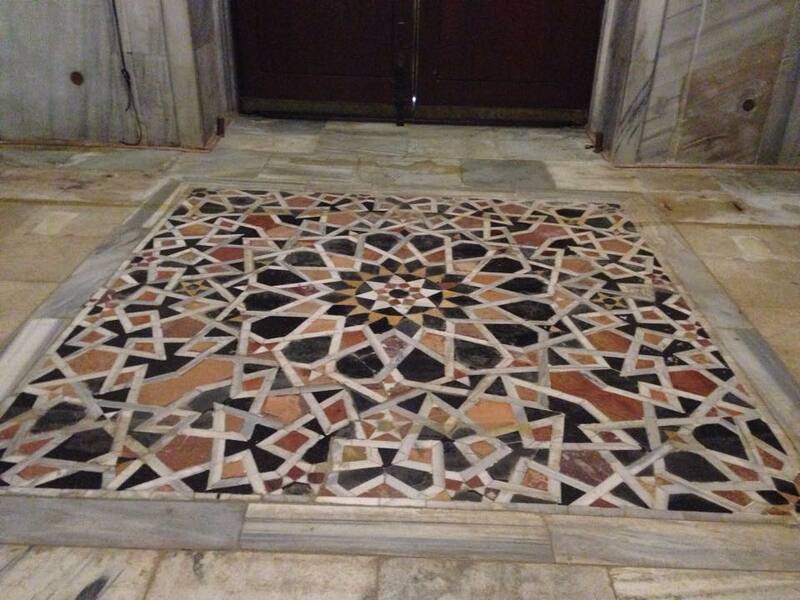 Note that both opus sectile floors by the south door feature eight-pointed stars at the center of the patterns. These two floors are on either side of the north door into the Dome of the Rock. Each of these floors has a 16-pointed star at the center. This is the southwest inner ambulatory, looking toward the south door. The floors by the south door are visible in the background. 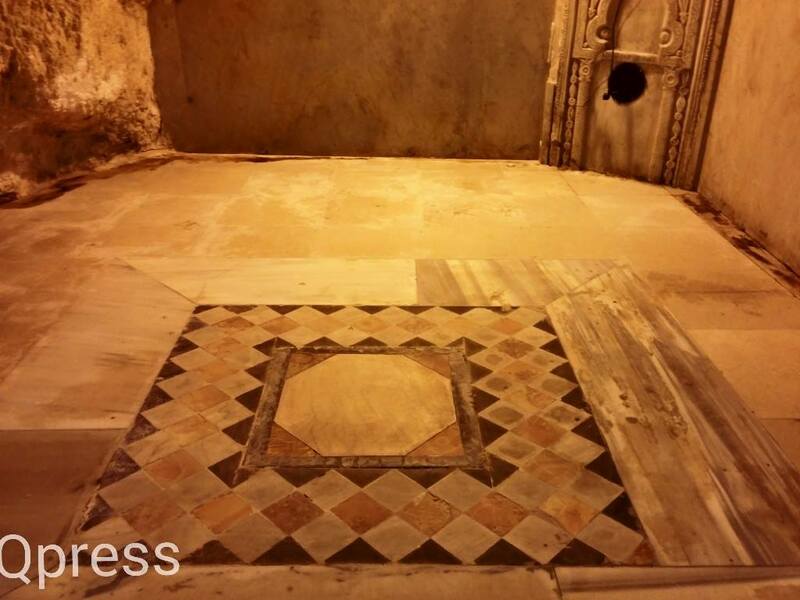 This opus sectile floor is one of two that are in the cave under the Dome of the Rock. Note that it again features an eight-pointed star at the center. 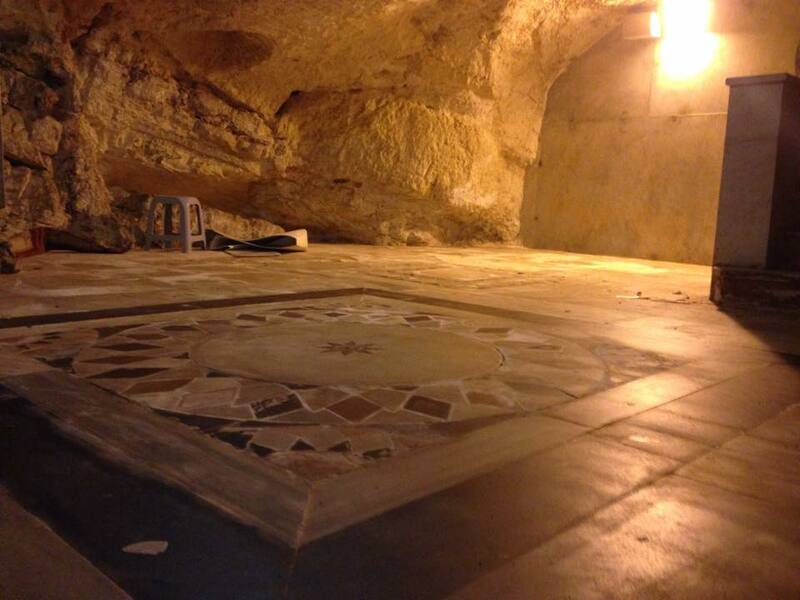 This is the second opus sectile floor in the cave and has an octagon in the center of the pattern, reminiscent of the shape of the Dome of the Rock itself. This photograph was taken outside of the Dome of the Rock by the east door at the same time as the above photographs. 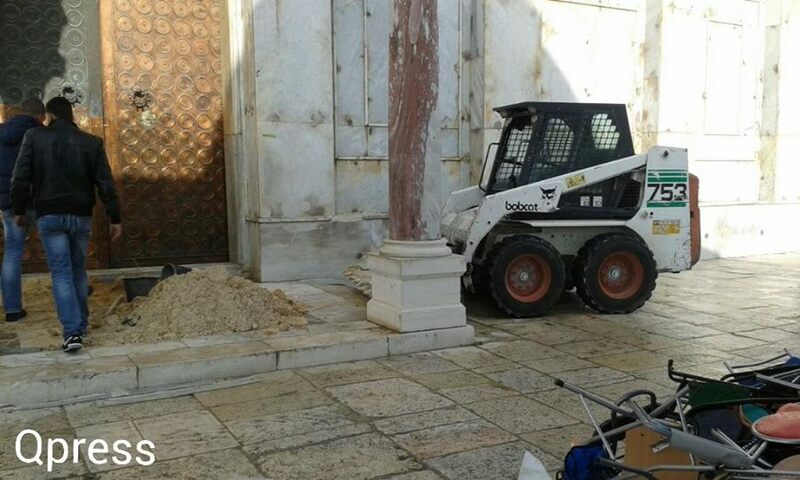 It raises the question of why a small tractor and piles of sand were needed to “replace the carpet.” Visitors to the Temple Mount also reported seeing paving tiles being carried into the building. This kind of work should have been done under close supervision of preservation experts from the IAA. I thought the Dome of the Rock was built over a pagan temple, and then it was a church. If so, how could any of the tile works relate to the original Herodian Second Temple? Thank you. The carpet pattern on the Dome of the Rock is beautiful. It’s amazing that’s it has stayed so well preserved over the ages. I wonder if they did anything to it to make it last longer. Does anyone have a picture of the carpet that was there in the early nineteen seventies?